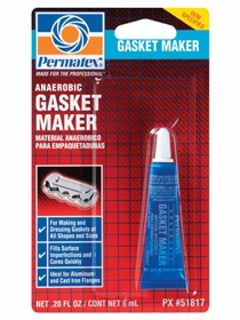 AutoPartsandStuff.com is pleased to offer Permatex - 51817 - Anaerobic Gasket Maker, 6 ml tube (4 Pack). This item is brand new in original packaging. Listed below is some item application/product detail information. To find more product details/warranty information, visit the Permatex website or	email us.